So a few months ago I received an exciting email inviting me to be part of Jane Iredales #itonlytakesaminute campaign 2017! 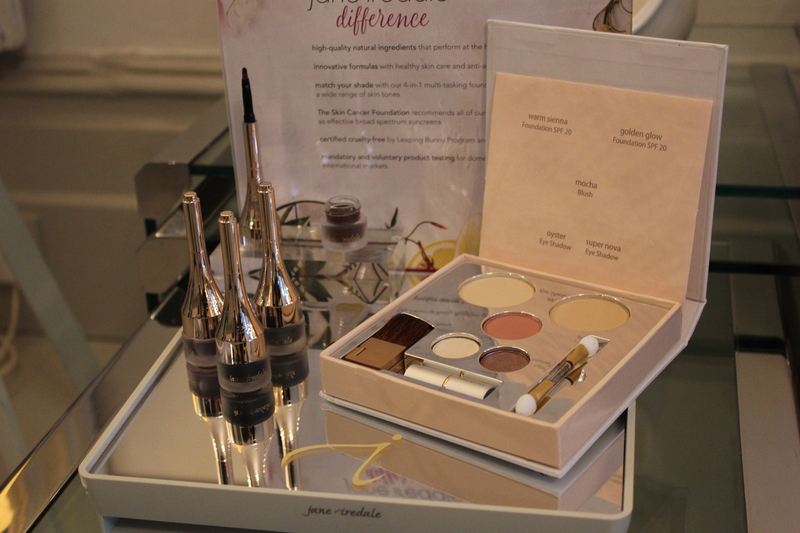 Jane Iredale just incase any of you are new to the brand, is high end mineral make up brand from IIAA, who also own Environ skincare and Advanced Nutrition skin suppliments. The day started off at 5:00am for me leaving my house to get to the location in North London for the 8:30am call time! 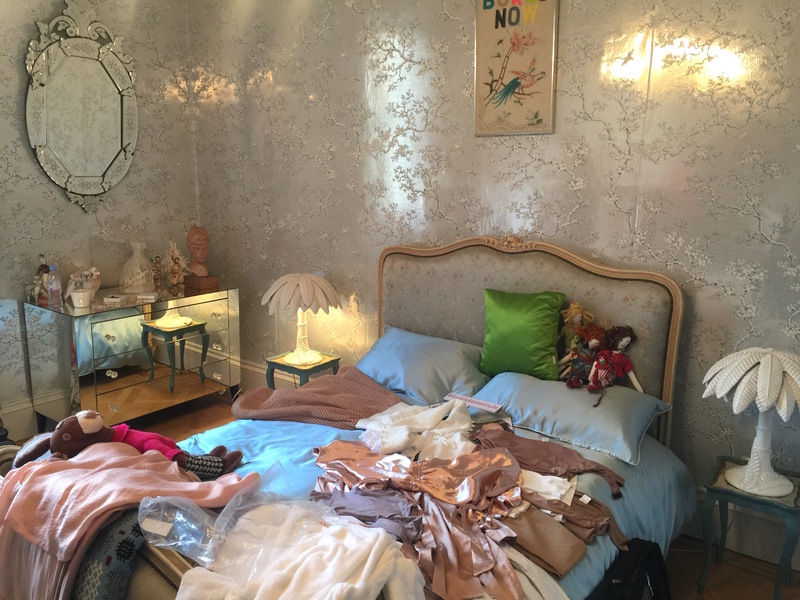 – The house was an absolutely huge and amazing manor house which is used for location filming and photoshoots, it was really eclectic with loads of really unusual pieces everywhere! 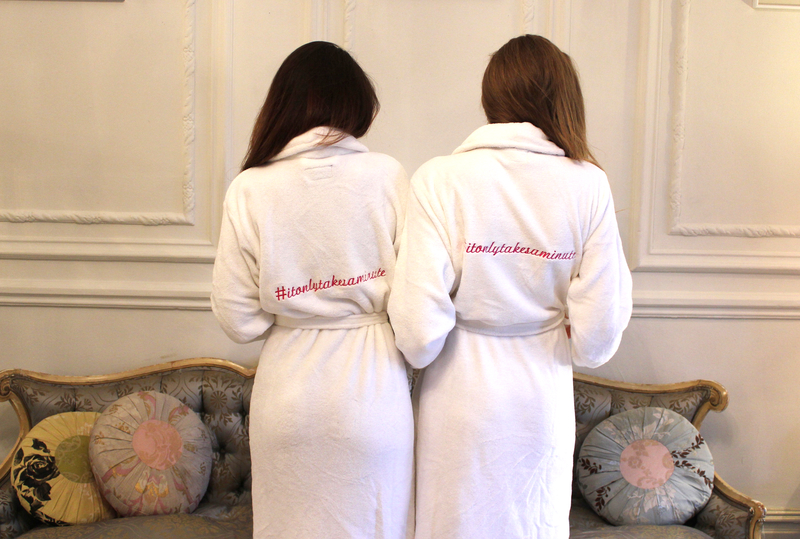 After slipping into my #itonlytakesaminute named robe, I had the grand tour and then Myself and Davina (who’s in charge of influencers and PR) went through all the clothing options for the day! (my look was rose golds, nudes and blush) we went with a blush top from In The Style. 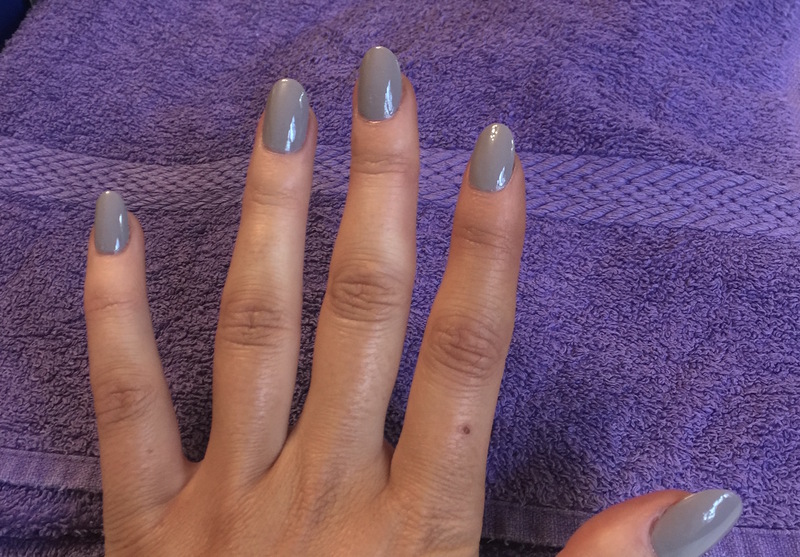 Samantha then did my nails – (the colour is one of the taupe range from O.P.I) and I had my skin analysis which, very scarily, shows all the layers of skin and flags up any problems you may have with your skin. 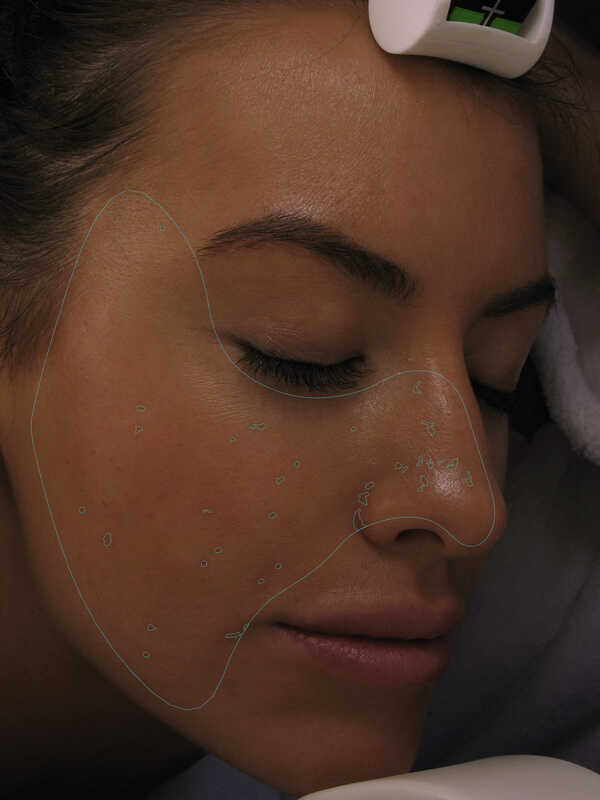 This includes sun damage, pigmentation and fine lines along with a whole host of other things! 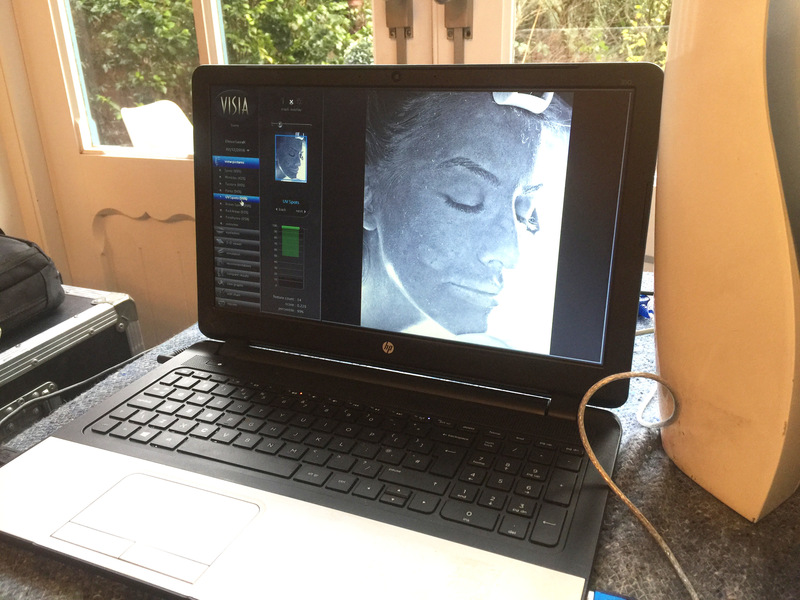 The Visia Machine at work! Mine was actually surprisingly good and just showed my skin was dehydrated, which I already suspected. It showed me that although I drink lots of water (try to anyway) my skin cells arn’t holding the water they need to, so my skin feels tight and has small pulls in it (you can see them in the photo below – thank God they’re not wrinkles!). Samantha assured me this is something that can be addressed with the high concentration of vitamins, peptides and anti-oxidents in their Youth Essential range. 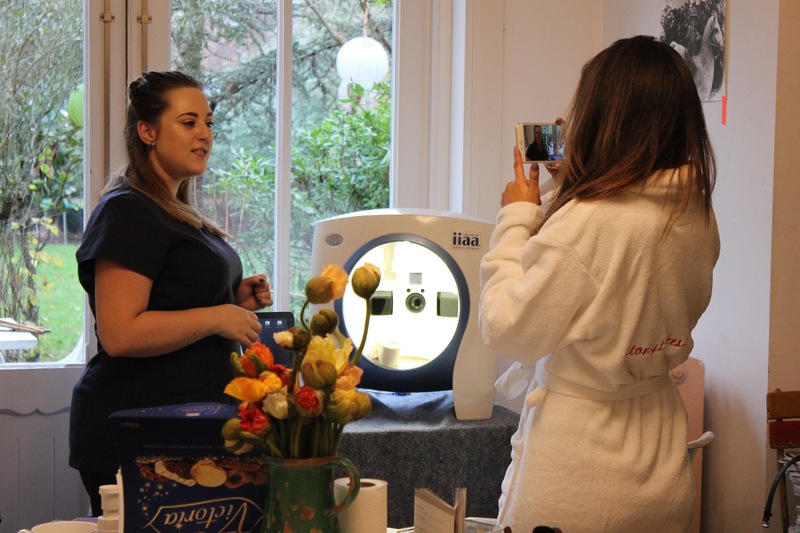 Since the shoot last week I have been using the range and I can already visibly see and feel the difference in my skin! So on went the cleanse, before the make up and hair began! The gorgeous Anushka did my make up, my look for the day is a glowey, highlighted look using their new spring products for 2017. Some of my favourites used were a beautiful eyeshadow quad and quad bronze/blush/highlight powder, both in minky rose colours that will be available in their spring launch! I also had on what I’m told is a very popular lip colour which will be returning to their range very soon too! Finished make up, having my hair blow dried! My hair was done by the fabulous Mattia in a laid back blow dry with some added length with my Beauty Works extensions. He also used this amazing volumizing powder by Unite. 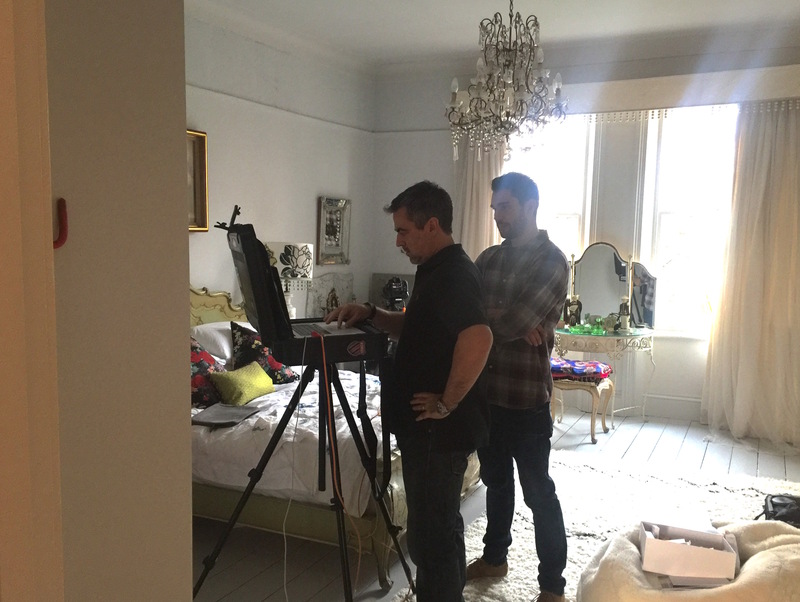 On to the shoot (my bit took place in one of the huge master bedrooms – where we did a range of close ups and lifestyle shots, even pretend selfies – before moving downstairs to do a video Q&A and my #itonlytakesaminute challenge! I had such a nice day shooting with the lovely team and wrapped at about 3:30 just in time for me to miss the m25 traffic back home! 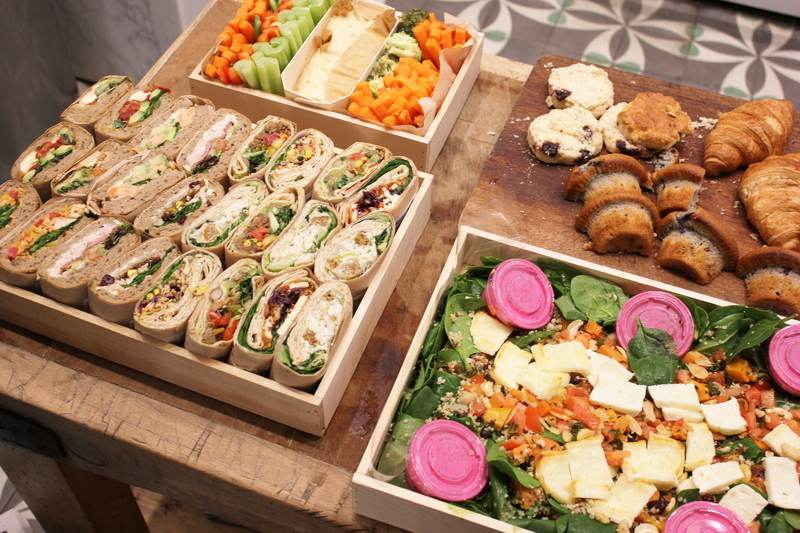 Previous Article← Wunder 2 Review: WunderTox, WunderLift and CoverBlend!